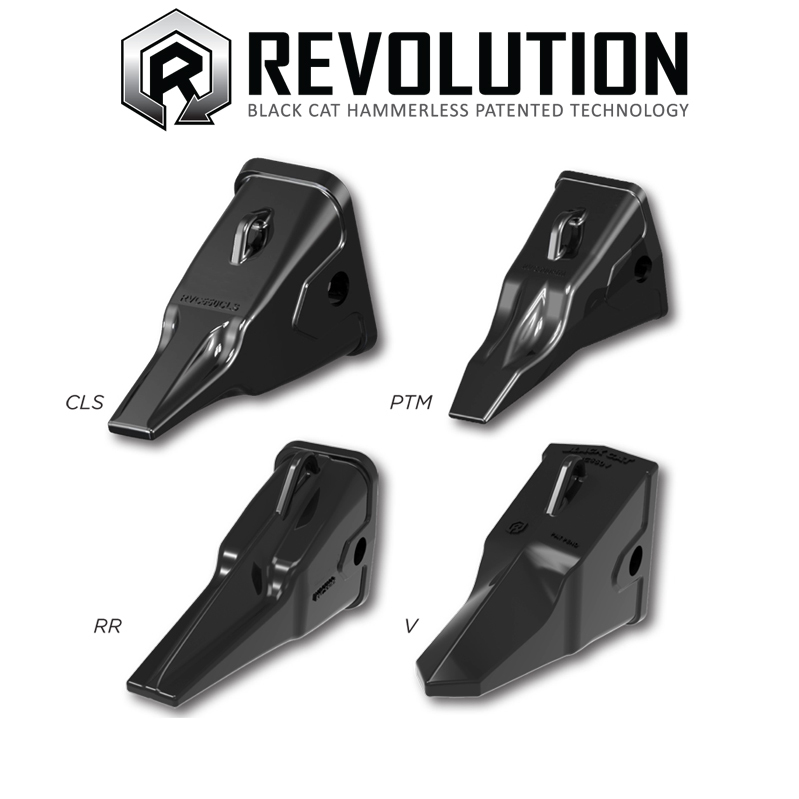 Black Cat Wear Parts manufactures a complete range of edges and end bits for all makes and models of dozers—from small utility class up to the latest mining series. 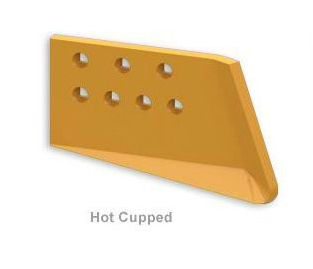 Black Cat Wear Parts has the highest quality edges and end bits engineered for specific applications. 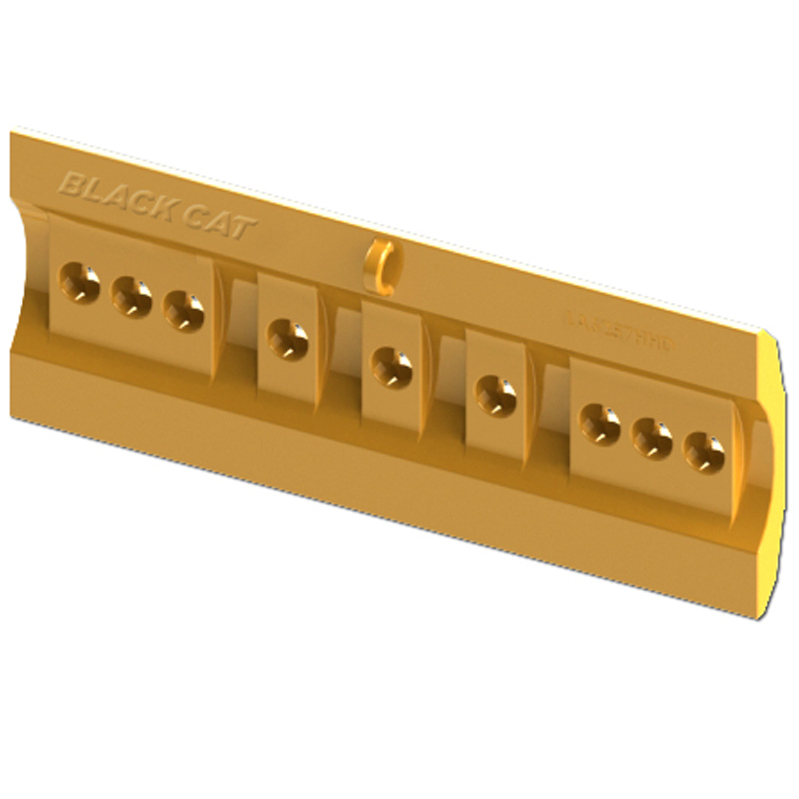 Black Cat also provides the highest quality hardware for your cutting edge hole type. 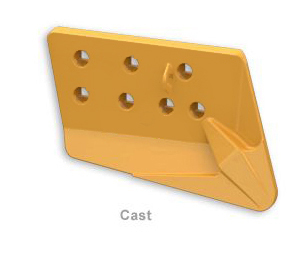 Black Cat cast dozer end bits are designed and built to outperform the competition using our highspec alloy X14 steel for excellent wear characteristics and superior impact resistance. The contoured design offers an impact rib built into the high wear area enhancing wear life and improving the strength of the end bit corner. Designed with more wear material in the critical areas, Black Cat end bits are engineered to offer maximum wear life while minimizing throw-away steel, enhancing the value for the customer. Machined surfaces on larger dozers (D9 and larger) enable superior fit while minimizing installation time and effort. Maximum depth countersinking protects the bolt head from premature wear and failure. Black Cat also provides high-quality hardware for your end bit hole type. Black Cat direct replacement ripper & scarifier parts are manufactured using our HighSpec Alloy steel and heat-treated to precise specifications. Computer design and analysis is employed in the development stages to ensure proper fitment and optimum strength for every part. 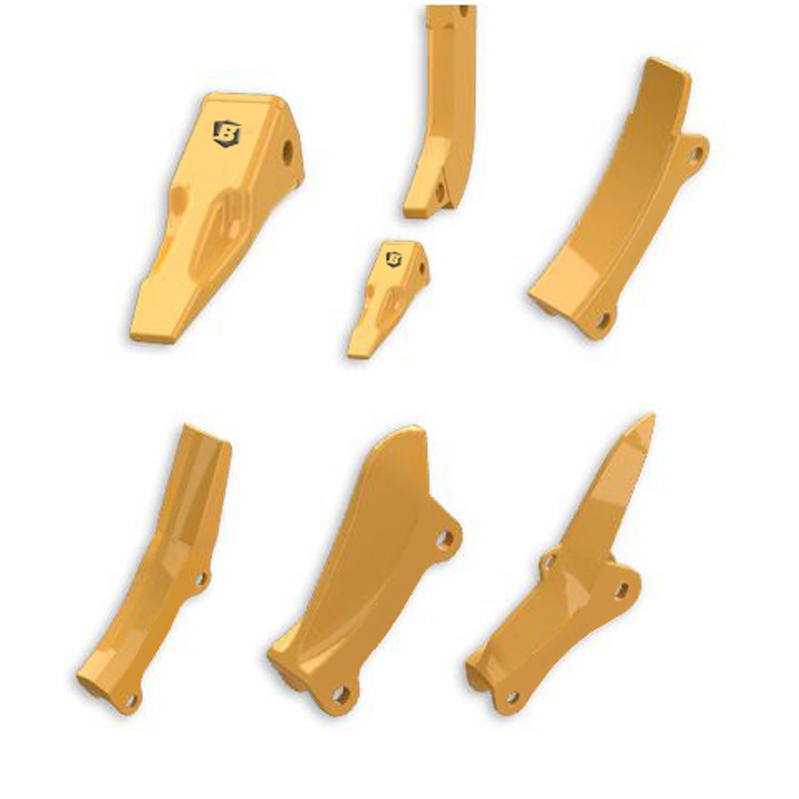 Efficient processes and state-of-the-art foundry practices allow for competitive pricing of quality parts. In-house metallurgical staff and testing facilities ensure quality and consistency in all of our finished products. The results are quality wear parts that offer value to our customers, every time.